Over twenty years ago, astrology, body energetics and tarot didn’t even register on my radar, but all that changed at the time of my Saturn return (around age 28 for each person). Back then I was employed as a book editor but everything changed through a life crossroads which led me to discover the deep psychological, symbolic & archetypal approach to astrology. I took up part-time tertiary teaching and freelanced as a professional editor to free up time to study the language of the inner self, myth, spirituality, the energy body and all things soul-related. I wrote a research thesis on astrology and science, and presented at the 2006 16th FAA International Astrology Conference. I qualified as a professional personal-growth astrologer seventeen years ago and am as inspired as ever about each person’s unique life path. To me, when each person finds their inner truth, their innate sense of purpose, they thrive and the world does too. The way astrological cycles weave in and out to provoke and stimulate the discovery and growth of different layers and facets of each person’s individual self keeps me in awe. We all love the happy and successful parts of the self and soul, but what about the disenfranchised parts? These hold blocked creative life force; broken, imprisoned or wandering homeless, symptomised yet innately essential. A person’s right to health and wellbeing, human rights, minority rights, a pollution-free environment, choice and free will are key to my core values. I hope to share about your astrology in a way that helps you open your own combination lock into being more fully and vitally you, more integrally on track, more in your life’s flow and happiness, and by definition a natural unfolding part of the world’s solution. Am I a coach, a counsellor, an energy healer, a tarot reader, an archetypal astrologer, a personal-growth motivator? Here’s my responses to those FAQs and more. 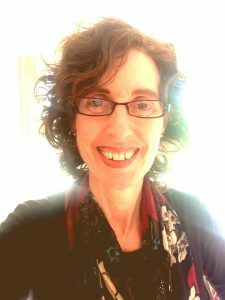 My studies over the past 30 years include a BA Hons in literature and classics, a Cert IV in teaching, an editing & publishing Grad Dip, a 4-year personal-growth astrology diploma, an archetypal tarot certificate, plus numerous forms of meditation, healing, energy awareness and soul insight. I continue ongoing study in these areas. I’m a member of the Association of Professional Astrologers, the Federation of Australian Astrologers and the Australian Holistic Healers and Counsellors Association. I’ve been writing forecasts since 2001 for various publications and the Radiant Living forecasts since 2005, trying to understand and share about the often indescribably complex astrology of these times, with a focus on personal growth. Over the years, I’ve also published a number of astrology articles, have guest lectured on various occasions and made some media appearances. In recent times, I’ve been posting updates on Facebook. Check them out!